180 Dec 25/12 Are you dreaming of a white Christmas? Do your lawn ornaments look a little out of place on the green grass? Free to a good home, all the snow you'll want and need. Please bring your own truck. Hot chocolate or rum and eggnog supplied. Lovely! And, yes...I am! We're experiencing much rain. LOL! re: truck! Gorgeous! Would love to take advantage of your offer! 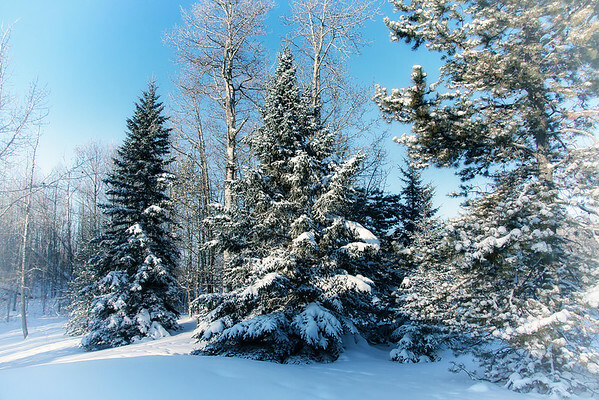 beautiful winter evergreen snow scene...Merry Christmas to you and yours! Nice winter scene LOL funny you are trying to give it away - Merry Christmas Susan!